Every day business professionals face challenges around their selling efforts and may have questions they don't know where to get answered. Those questions may move from a simple wondering what or how to do something to being obstacles that hold you back from success. The longer you wait to address them, the more difficult they will be to master. In some ways, it's like trying to solve a puzzle that's been flipped upside down with a dozen pieces removed. 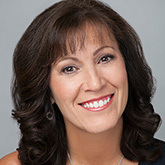 Founder and CEO, Nancy Bleeke will be online Wednesday June 27 at 3:00 PM and Thursday June 28 at 10:00 AM (CST) to answer YOUR sales growth challenges. During this 40 minute forum, you share the questions and challenges you're facing and we will provide answers and solutions for your business. Wondering about your sales process and knowing what you should do to win more? Struggling to overcome a specific objection that keeps stopping your sale? 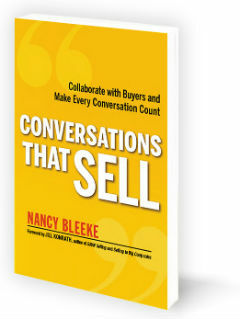 Stumbling as you open sales conversations and how to get into the business discussion? Trying to crack the code on sales strategy? If so, this open forum is for you. Come with your questions and we will work through as many of them as possible in our 40 minutes together.